You can ensure future apprentices get the tools and training they need to succeed. Donate today! As the growing season has come to an end and our livestock have moved into the barn, it is also time to say farewell to our 2018 apprentice class. Kama, Sam, Leslie, Anthony and Emily have spent the year intensively learning the principles and techniques of regenerative agriculture while working hard out in the fields and pastures. They have all shown a lot of grit getting through the many necessary farm tasks while enduring very challenging weather conditions. And it is a testament to their passion for farming that despite a difficult year they are all planning to continue their farming careers next season. 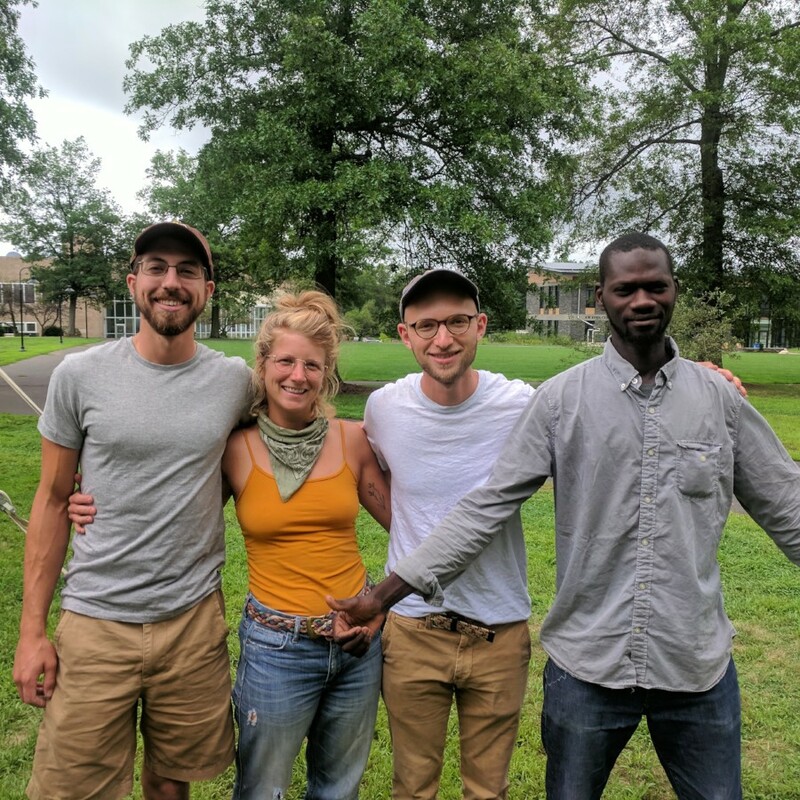 Sam, Leslie, and Anthony will continue to farm together as next year they collectively take on the challenge of managing Second Wind CSA, in Gardiner, NY. Kama is also hoping to remain local and is exploring options for raising livestock and produce to sell to New York’s West African communities. And we are very pleased that after gaining experience with our vegetable operation this season Emily will be remaining at Glynwood through the 2019 season as a Livestock Apprentice. We want to thank all our Apprentices for the hard work they put into producing great food for our community this year and we are excited to see their continued success out in the fields and pastures in the future. Since our apprenticeship started in 2008, we have trained 50 new and beginning farmers. More than three-quarters of those trainees are still farming or working actively to transform the food system. You can support the next 10 years and 50 apprentices by making a donation, today.